The Ministry of Justice wishes to inform the general public that it has requested The Gambia Police Force to arrest and detain Mr John C.B. Mendy who was attempting to leave the country today, 2 April 2019, for Casamance in the southern region of Senegal through the Giboro/Sileti border crossing. The public will recall that Mr J.C.B. 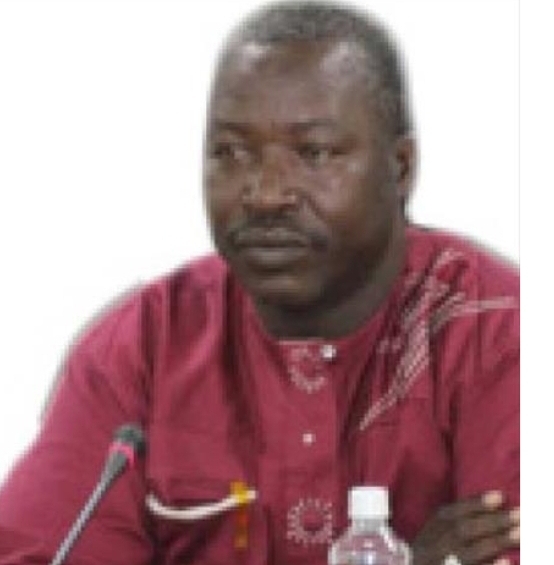 Mendy appeared before the Truth, Reconciliation and Reparations Commission (TRRC) on 19 and 20 March 2019 and testified about many events including the 11 November 1994 incident. Based on a totality of the evidence adduced before the TRRC so far, and in light of other available evidence in the possession of the TRRC, it was evident that Mr J.C.B. Mendy was “outrageously dishonest” in his testimony about his role in several incidents of violence. Mr Mendy’s “outrageous dishonesty”, in the face of overwhelming evidence to the contrary, betrayed a lack of empathy towards the families of the victims and the unwillingness to cooperate and assist in the reconciliation process in the country. Consequently, the Attorney General, in order to encourage truth-telling before the TRRC and strongly discourage any attempts to deliberately conceal the truth in the face of mounting evidence, recommended the immediate dismissal of Mr J.C.B. Mendy and requested the cooperation of his employers at The Gambia International Airlines (GIA) in this regard. The Ministry wishes to re-iterate its call for all witnesses who appear before the TRRC to be truthful at all times especially in respect of their involvement in human rights violations and abuses. The country needs to establish the truth about these events and the families of the victims deserve to know the truth about their loved ones. The perpetrators are particularly encouraged to be truthful and to take advantage of the amnesty provisions at the TRRC and give reconciliation a chance. The Ministry would like to further reassure the general public that the TRRC process is not a witch hunt and that there is no need for anyone to abscond from the country, but that any attempts to deliberately conceal the truth in the face of overwhelming evidence will be regarded as an attempt to undermine the integrity of the process, and an unwillingness to cooperate and assist in the reconciliation process, and will therefore bear serious consequences. Meanwhile, the public will be informed about further developments in the J.C.B. Mendy case as it unfolds. Hello Gambians and Gambia. When will Alagi Khangi the notorious killer who is widely regarded and called “Mo falla” Khangi, meaning “people killer Kangi ARRESTED?. Until that time that the likes of Alagi Khangi and others who were in the Law and Order and or Security Sectors in the former Presiden Yaya Jammeh’s government such as CDS Masaneh Kinteh and Chief of Police Yankuba Sonko are called to account for their collective deeds and misdeeds before the Gambia’s TRRC, the whole exercise would be a mockry and an act of betrayal to the Gambian People. Gambia and Gambians should demand that the Reconciliation part of the TRRC remain that, Reconciliation and not Selective Retribution of Select Ethnic groups. Evidence of John Mendy’s alleged False Testimony to the TRRC should be in its totality and how his testimony is not Credible need to be made Public Forthwith. Failure to do so would compromise and render the TRRC in some Gambian Public’s Opinion with Negative hostility. An outcone and result that the respected long term Gambian UN employee Dr. Lamin Sisay should do all in his authority and power to avoid at all cost. Personal vandettas and ethnocentric prejudices and predispositions should be avoided at all cost. I never agree with you in almost everything but this time I absolutely agree that we do not need selective justice . Alagie Kanyi and all those killers should be arrested. Alagie Kanyi and many others lied to commission and there are many people who complained about their lies but none of them ( killers) have been arrested . Arresting Mr Mendy for lying is injustice . He is being targeted. Kanyi a confessed murderer from Jarra is still working for the immigration department. When will we actually be honest and stand for the truth. I fought Yaya Jammeh because of injustice that we all hated and now we are seeing the same injustice in the country. This is wrong . If We repeat what Yaya Jamneh did , he will be better than us. Injustice or selective justice should be banned. Selective regional favoritism in term of government projects and employment is discriminatory. This government tends to favor people of Jarra and Upper river division for employment opportunities and this is why of many people from Jarra who were victims of Jammeh’s regime are going against the very injustices they fought against. This is shameful , disgraceful and betrayal of integrity. You cannot blame Yaya Jammeh for nepotism, Regional favoritism and tribal favoritism but give a blind eye to President Barrow who is doing the same thing. Shame on you. Many of President Barrow’s inner circle are Jarrankas and people of URR and many of these people are misleading him for their selfish interest. Example Fatou Ceesay , Dodo Sano , interior minister and many others . These are people who are behind the scene doing everything to entrench this president into power . Some staff of Kaironews are also part of these enablers because of political affiliation due to regional favoritism. We have seen how Yaya Jammeh ended up when he embarked on the same dangerous path . Gambians are watching , we will never allow Jammeh’s style of nepotism, tribal favoritism and Regional favoritism to be manifested in this new administration. A stupid notion that “ it is our time to eat “ will be fought until defeated. If you any of political opportunites want job , let them go and have good education. I hope someone will have courage to post my comment . Don’t worry your brains dead about it. Moofaalaa is collaborative with investigators and sooner or later he will be arrested when those who put him on the payroll are arrested. Did anyone hear the commission warning witnesses that; playing around with them will bear consequences?